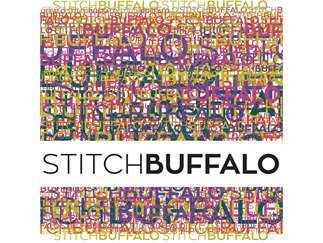 At Stitch Buffalo's "Second Stitch" pop-up sales, we repurpose donated materials that cannot be used by our refugee artists in their Stitch Buffalo creations. All proceeds go directly to sustaining Stitch Buffalo programming. Items for sale include: yarn, knitting needles, crochet hooks, quilting and apparel fabric, thread, zippers, buttons, and SO MUCH MORE at huge discounts—typically at least 75% OFF retail prices. It's a perfect opportunity to stock up on supplies you need, rescue items for reuse, and save money! We hope you can bring these materials to life in your own creations. Prices start at $.25 for bags of notions. Fill a 14x14 bag with quilting cotton for $3. Knitting needle and crochet hooks start at $1. Yarns starting at $.25/bag. High-end yarns at 75% off retail. Most fabrics $2/yard or less. Reconditioned sewing machines starting at $40. APRIL SALE BONUS: Would you like to win a free SEWING MACHINE? Visit the sale and enter our raffle!